Ikusa was brought onto an effort by Diva Sweets and Treats owner to grow and develop an inexpensive marketing strategy that took advantage of the passive benefits to having a well-built website with a strong network. 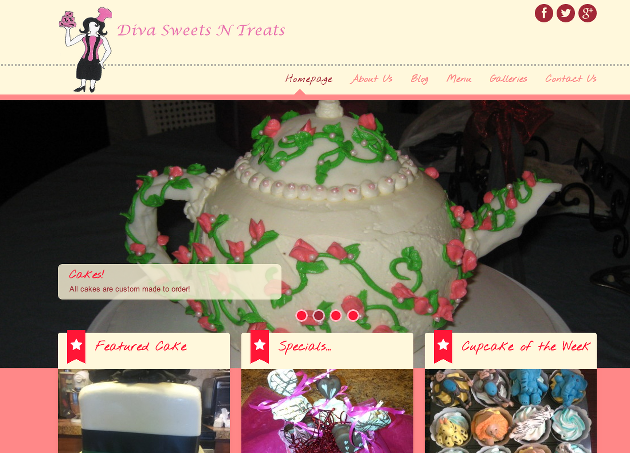 Together we were able to set up her website and put her entire catalog of cakes online for people to see. Along with her numerous TV appearances, we worked with her to establish a data analytics set-up to give her better insight into her customers across various channels.